As dusk falls, a young man staggers through a park, far from home, bleeding from a stab wound. He dies where he falls, cradled by a stranger, a woman’s name on his lips in his last seconds of life. Detective Manon Bradshaw handles only cold cases. Five months pregnant, in pursuit of a work-life balance rather than romantic love, she’s focused on being a good mother to her adopted 12-year-old son, Fly Dent, and the new baby. But the man died just yards from the police station where she works, so Manon can’t help taking an interest. And as she sidles in on the briefing she learns that the victim, a banker from London worth millions, is more closely linked to her than she could have imagined. When the case begins to circle in on Manon’s home and her family, she finds herself pitted against the colleagues she once held dear: Davy Walker and Harriet Harper. Can Manon separate what she knows about the people she loves from the suspicion hanging over them? Can she investigate the evidence just as she would with any other case? 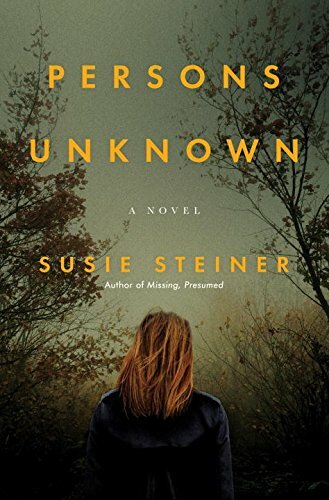 Persons Unknown by celebrated author Susie Steiner brings back fearless detective, Manon Bradshaw in this complex and thrilling sequel. Steiner is the London based author of Home Coming and Missing, Presumed, and has worked as an editor for The Guardian, The Times, The Daily Telegraph, and The Evening Standard. An electrifying sequel to 2016’s Missing, Presumed. Readers quickly discover that several years have passed since we last saw Bradshaw. She has adopted 12-year-old Fly Dent, an orphan, is now pregnant, and has moved in with her sister, Ellie, and her young son Solomon in Cambridgeshire. Manon works as a cold case investigator at the local police department. She hopes the change of scenery will bring stability to the family but didn’t consult Fly about the decision. In London she had “an encroaching fear that he was getting in with the wrong crowd, or possibly that he was the wrong crowd.” Much to his apprehension, Fly hates being the only black kid in town where racial profiling is prevalent; he soon becomes the prime suspect in the murder of his aunt’s ex-boyfriend, Jon-Oliver, a rich London banker. Convinced of her son’s innocence, she conducts her own investigation to uncover the truth behind the killing. Persons Unknown is a gripping and tense, character driven story. It has a complex narrative that keeps the reader captivated and engaged. Susie Steiner effortlessly weaves into the plot a fascinating exposé on social and cultural issues such as race relations and family. Overall, this an entertaining and absorbing read that strikes all the right chords. The sophisticated and genuine characterizations portrayed in this book series are clearly its greatest strength. Persons Unknown is a complex, exhilarating, and multifaceted murder mystery that includes insightful social and cultural perspectives. Manon Bradshaw is an enchanting protagonist who merits placement among the pantheon of much-loved fictional investigators. A highly recommended read that will definitely excite the most devoted fans of the murder mystery genre.